Talk about sheer opulence. A Sherry-Netherland apartment in New York City, has been listed for sale, for a grand price of $95 million. Established in 1927, the Sherry-Netherland is cooperative residential hotel in the city of New York City for the ultra-rich, which has offered the ultimate in luxury, since its opening all those years ago. The $95 million apartment is located on the 18th floor of the Sherry-Netherland hotel building, which is situated on New York City’s Fifth Avenue in Manhattan. This building holds 165 apartments, which were converted into co-op apartments sometime in the late 50s. 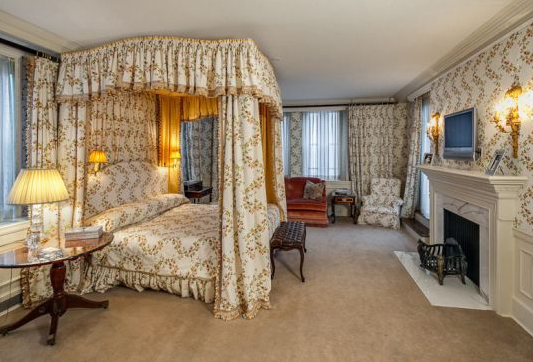 The co-op apartment that has been offered for sale at this huge price is owned by Gilbert Haroche, the co-founder of Liberty Travel. Many real-estate properties in New York have recently been sold for astounding amounts (like the One 57 New York apartment that was sold for $90 million), and Gilbert Haroche seems to be cashing in on the real estate boom. His 18th floor co-op apartment offers amazing views of the New York skyline and Central Park, and is lavishly decorated with all the comforts a billionaire would want. The interiors of Gilbert Haroche’s Sherry-Netherland apartment is spread over 7,000 square feet, with terraces running the length and width of the apartment, measuring about 2,000 square feet. 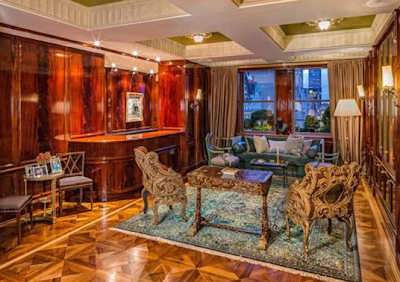 There are a total of 15 rooms in this massive piece of New York real-estate property. One of the main reasons why this property is so large is because Gilbert Haroche purchased a number of adjacent apartments, and combined them to create this giant co-op apartment. Of the 15 rooms at this Sherry-Netherland apartment, five rooms overlook Central Park directly, while six rooms (including the master bedroom suite) overlooks the Upper East Side and part of Central Park. The kitchen and dining room of this New York apartment overlook central Manhattan. 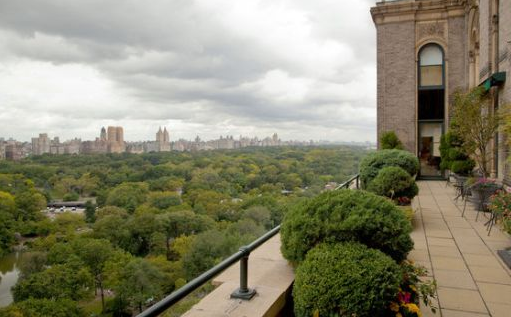 When it comes to the terraces, the western terrace directly faces Central Park, the southern terrace faces midtown Manhattan, while the private terrace faces the Upper East Side area.